With Metro PCS’s new Bring Your Own Device Program, it is NOW possible to use an iPhone on Metro PCS service. The iPhone must be Unlocked, Not Marked as Stolen or Lost, and must be compatible with Metro PCS Service. The iPhone compatibility chart is found below. To get the iPhone to work on Metro PCS service, All you would need is to get a $10 Metro PCS SIM Card and if your starting new service with Metro PCS then you would also have to Pay for Your First Month of Service. If you already have Metro PCS Service and would like to switch your account over to an iPhone, then all you would have to do is get the $10 Metro PCS SIM Card and pay a $15 upgrade fee. However, it is still possible to use a CDMA iPhone on Metro PCS service if that iPhone was Flashed to Metro. Click the following link to learn more about how people are flashing their phones to Metro PCS Service. Yes – iPhone IS compatible with Metro PCS Service. All you would have to do is get the phone unlocked and purchase a Metro PCS SIM card. No – iPhone is currently NOT compatible with Metro PCS Service. 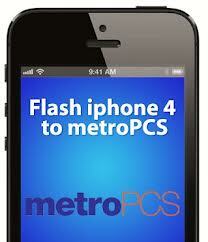 Flashing – iPhone can be flashed to Metro PCS through 3rd Party Tools. N/A – iPhone model was not made for this company. 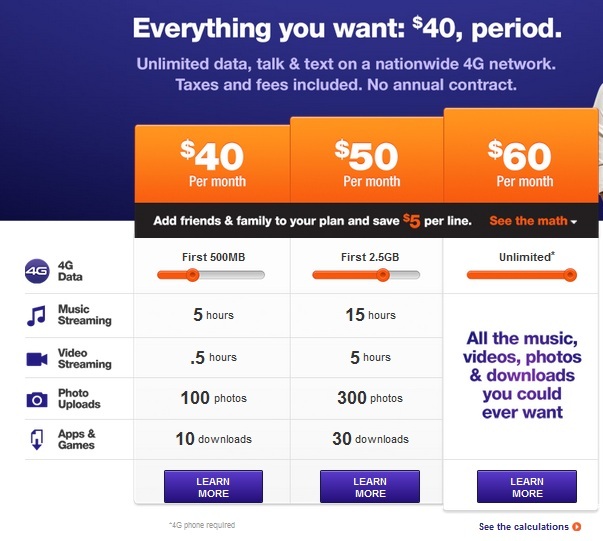 Metro PCS currently offers 3 different rate plans for the iPhone; $40, $50 and the $60 Plan. The plans come with unlimited talk, text, picture messaging and data. The different between the plans is how much 4G internet connection can be used. Therefore you can have an iPhone 5, 4s, 4, 3gs, 3g, or 2G with unlimited talk, text, data and picture messaging for only $40 per month. The iPhone 5 is the only true 4G LTE phone. Therefore with the other iPhone the internet speed will either be 3g or 3G+. The most sought after mobile phone all over the world, the Apple iPhone, was previously exclusively available only on AT&T. With time, however, Verizon, Sprint Nextel and Leap Wireless also began to offer the iPhone. But Metro PCS has remained indifferent throughout and there is still no news for them offering iPhones anytime soon. People love Metro PCS as a carrier due to its contract-free service and iPhone lovers are surely leaving no stones unturned to materialize Metro PCS iphone compatibility. So Will iPhone 5 Be The Only iPhone Version To Use Metro PCS Service? Fortunately, the answer to that question is a big no. As mentioned earlier, iPhone and Metro PCS enthusiasts have been working on a large number of possible techniques to make Metro PCS iphone a reality. To get the job done, the iPhone needs to be unlocked first. It should be noted that flashing the iPhone voids its warranty so it is suggested that the jailbreak procedure is carried out by experts or professionals only. It must be noted that GSM iPhones such as the AT&T flavour do not need to be flashed to Metro PCS because they can just be unlocked and activated with a Metro PCS SIM Card. So How To Get It Done? The procedure in itself is actually quite simple. To unlock the iPhone, the user has to go to a 3rd party unlocking website and choose to unlock the iPhone. Once the iPhone is unlocked then you would have to go to a Metro PCS Store to purchase a Metro PCS SIM Card. At the store they can activate the SIM card with metro pcs service. This works for all unlocked GSM iPhone. If the iPhone is CDMA then it would not work with the BYOD program. All that the user needs to do after this is to visit a store in person and request them to flash the iPhone with Metro PCS. This procedure is commonly known as “MetroFLASH”. This flash creates a Metro PCS IMEI number for the iPhone. Currently Metro PCS direct stores don’t support flashing a phone to metro but their are other companies that advertise that its possible. Can An Existing Metro PCS Connection Be Transferred To iPhone? Yes it can be done. To transfer the service, the user needs to call Metro PCS customer care. The older phone with Metro PCS must be switched off during this procedure to ensure the signal from that phone does not hamper the transfer process. Upon calling, the customer service executive has to be requested to begin the transfer and the IMEI number of the iPhone should be kept handy as it will be required by the agent. Data packages do not work with transferred Metro PCS iphone mobiles but a WiFi connection should take care of that problem. iPhone APN settings for Metro PCS service. Turn WiFi “OFF” and 3G/4G “ON” and Data Roaming “ON” while the settings are being applied. How to connect an unlocked iPhone 2G, 3G, 3GS, 4, 4S, 5 to Metro PCS? Since the iPhone is unlocked, as long as the phone is not under the negative list or reported lost or stolen then all you would have to do is purchase a Metro PCS SIM card and activate it on Metro PCS Service. If you have Metro PCS service then usually it costs $15 to change the service but if you don’t have service then you would have to pay the first months bill. How much does it cost to unlock an iPhone 2G, 3G, 3GS, 4, 4S, 5 at Metro PCS and where can I unlock an iPhone? To unlock an iPhone so it can be used with any carrier costs anywhere from $10-60 dollars depending on which 3rd Party Service unlock you use. Metro PCS stores do not directly support unlocking the phone at their location. However, iPhone unlock codes can be purchased online, – 3rd Party Unlock website 1 – 3rd Party Unlock website 2. Once the phone is unlocked, to use the phone on Metro PCS service, it costs $10 for the SIM Card and $40-60 for the First month plan if your starting new service. Or if you already have Metro PCS service it costs $10 for the SIM card and $15 to change the service over. Why does MetroPCS take iPhone 5 but not iPhone 2G, 3G, 3GS, 4, 4S? Metro PCS can take any unlocked GSM iPhone (AT&T and T-Mobile), see the compatibility chart. If the GSM iPhone is unlocked, not on the lost/stolen or negative list then it can be used with Metro PCS Service. Can Metro flash my Verizon iPhone 5 or Sprint iPhone 5? Verizon and Sprint iPhone 5’s can be used with Metro PCS Service through the Bring Your Own Device Program because they are compatible with Metro PCS’s GSM SIM Cards. Therefore there is no need for the phone to be Flashed. Flashing should only be used if the phone is not compatible with Metro PCS Bring Your OWN device program and does not have a SIM card slot but you still want to use it with Metro PCS. Flashing is not directly supported by metro pcs and may be against their terms and conditions; however, it is still possible to flash the phone. Does the iPhone have to have a SIM card slot to switch to Metro PCS? The iPhone has to have a SIM card slot to switch to Metro PCS using their Bring Your own device program. However, it is till possible to use an iPhone without the SIM card slot by flashing the phone to Metro PCS using 3rd party tools and service. Whats better, metro pcs unlock iPhones or flashed iPhones? Metro PCS directly supports unlocked iPhones on their network. Metro PCS does not directly support Flashed iPhones on their network anymore. Therefore it is better to get an iPhone unlocked than to get it flashed. It important to know that GSM phones is to Unlocking as CDMA phones is to flashing. If you have a GSM iPhone (AT&T or T-Mobile) then the phone can be unlocked to Metro PCS. If you have a CDMA iPhone (Verizon or Sprint) then it can be flashed to Metro PCS. The reason why Flashing is not recommended is because it is a technical process and the phone may or may not work properly on Metro PCS. See the Guide to Flashing Phones page for more information. Operating in the same way that T-Mobile does with the current lineup of iPhones, MetroPCS would not sell the iPhone 5 directly but would instead openly allow and possibly encourage iPhone users to use the phone on its spectrum. The approach, part of what T-Mobile calls its “uncarrier” strategy, is a break from the practice of subsidizing smartphones in return for two-year contracts. By not relying on heavy phone discounts, T-Mobile says it can offer less burdensome terms and lower service prices. The iPhone 5 will be one of the first phones able to take advantage of T-Mobile’s LTE network (along with the Blackberry ( BBRY ) Z10, Samsung Galaxy S IV and Galaxy Note II and a handful of others). Will the plan be a success? If they wind-up selling more phones then before, of course, that a good thing. If they get people to switch to T-Mobile that’s also good. This also represents a chance for MetroPCS to convince feature-phone owners to upgrade too. And the trend among late-stage smartphone adopters is that they, in general, go for lower-cost devices. The iphone 4 cost about $250-$400. and to flash it to metro pcs the iphone 4 has to be from verizon or else it wont work.The flashing cost about $40-$60 with a month of service included. So why would i pay $600 for this iphone when i could do it for less. THE SELLER IS JUST MAKING MONEY AND BUYING MORE IPHONES AND FLASHING THEM TO SELL FOR MORE AND MAKE EVEN MORE PROFIT!DONT WASTE YOUR MONEY GET A IPHONE 4 UNLOCKED FROM VERIZON OR ON CRAIGLIST! SAVE YOUR $. The carrier is accepting unlocked iPhones, Android phones, Windows phones, and certain feature phones, but not BlackBerrys, tablets, or hotspots. To find out if your phone is compatible, check here: metropcs.com/keepyourphone . MetroPCS just sent out a blast text that says that they’re accepting unlocked iphones for no charge except the first month of service! But how will operate on their 4G LTE bands? Will it be 2g or 3g only like the current at&t phones that are flashed to tmobile? Only 4G LTE compatible iPhones will support Metro PCS’s 4G LTE Network. Therefore in the case of iPhones that’s only the iPhone 5. Even though the iPhone 4s shows 4G on the status bar its really 3G+ internet connection. It costs the First month of service and a $10 Metro PCS SIM card. Metro, I believe, is slowly going to get the respect they deserve. I have had metro service for over 5 years with an android phone. Their plans are always straight forward and cheap. I was just recently given an iphone and I took it in, was given a metro sim card, kept my old number and walked out happy. I never have dropped calls, poor service or accrue any data charges. Metro is wonderful. For a full list of BYOD Bring Your Own Phone compatible phones, please see metropcs.com/keepyourphone . I purchased my Iphone 5 unlocked for extra cost, because I need to use it in Belize on a Digicell network. Now im back in Miami and Metro says my phone isnt unlocked! They said normally they just have to put in the chip and it works and mine doesnt. But I wouldnt have been able to connect my phone in the Caribbean if it wasnt. Do I need to change the settings I really dont want to do a factory reset and loose all my info! Im goingn to read about Flashing the Phone in the mean time to try and figure it out! Please HELP! How does the iphone 5 use metropcs’ LTE if tmobile’s network doesn’t have LTE support? Does the sim card merely authenticate the phone onto the network, and then the LTE connects? I thought LTE used the UICC card (LTE sim) and it’s totally separate. Sorry, but I don’t want to buy an iphone 5 without some knowledge that it will work. art or Target could I flash it to Metro? Can an iPhone 5c work with metro pcs? I have an iPhone 4g with metro pcs right now, but I’m giving that to my brother for his Samsung Galaxy Note 2 from Tmobile. Can’t I just take out my SIM card from my iPhone and put it in the note 2?. Or do I have to get a new SIM card for the Galaxy note 2 from metro? Yes, if the SIM card fits in the Note 2, just call metro pcs and get it activated. As long as the Note 2 is not reported as stolen or there is no money owed for that phone on the T-mobile account, it should be easy to get the Note 2 activated. I’m trying to confirm whether hotspot will work on a Bring Your Own iPhone 5s GSM (non-jailbroken) at 4G LTE speeds with a MetroPCS plan. I’m seeing conflicting information on this.